Marshall J. Howard is back in prison. It's his third trip up the river for burglary since 2000, according to state records. It's also his longest sentence: 6 years. Howard pleaded guilty to entering an occupied Lakeview home and stealing a cell phone at 1PM on September 16. When the victim encountered Howard in his home, police said, Howard jumped out a nearby window. Cops caught up with Howard by following pings from the victim's cell phone as it traveled on a Brown Line train. They were waiting for him when the train pulled into the Kimball terminal. Window jumping—and train riding, for that matter—will be more difficult for Howard until September 16, 2018. That's the date he is scheduled to be paroled. Meanwhile, a former resident of a local youth shelter who was charged with multiple burglaries and escape is getting off with mere probation, court records show. 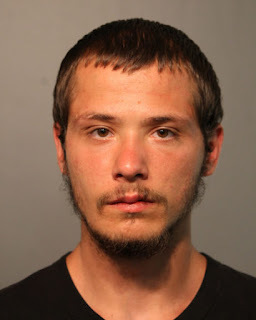 Terry Mikkelson made a splash in early June after he allegedly broke into a boat at Diversey Harbor and lived there for several days while the owner was out of town (and while Mikkelson was supposed to be on electronic monitoring). Mikkelson was an immediate prime suspect in the boat burglary because his Cook County Jail release papers were left onboard, police said. Several news outlets picked up the story and Mikkelson was charged with burglary in the boat caper. At the time, he was on electronic monitoring for allegedly committing burglaries in Wrigleyville and nearby Lakeview. On June 9, a fugitive apprehension unit tracked Mikkelson down to a seedy motel on the far North Side and he'd been in Cook County Jail ever since. Well, that's all mopped up now. Mikkelson is free after pleading guilty to three counts of burglary and one count of escape. In exchange, he received a very do-able sentence of two years probation.